Anyone good at coding/data visualization? Take all these images in to some kind of video-making program and compress it in to a “time lapse” thing. I think I know someone who can do this, but if anyone has those skills, and if we get to that point, I’d be very happy for the help. If you can provide any assistance, it would be fantastic. Drop me an email (ari.ofsevit@gmail) or comment here (you need to log in; otherwise we get lots of spam) to get in touch. Extra bonus points if you’re patient enough to explain to me what you’re doing, instead of just doing it. I’d certainly give you lots of on-site recognition for any help, and probably buy you a beer in Hayward next February. An obscure Simpsons quote notwithstanding, it’s time for me to brush up on Unix time. Why? Because I have a dataset with close to 20,000 rows of Birkie data, and the split times are in Unix time. It’s exact, yes, but kind of kooky to sort in to real-life time. In any case, look for data updates in coming days. Data! Updates: we’re getting some really fun data for the number of people each skier passed and was passed by, split data, and the like. Stay tuned! New race reports. Check them out. And keep them coming! New Birkie Trail Subway-style Map. Yes, I am that much of a nerd. A post about the 100k day I skied on the Birkie trail a few years back. The weather should be just about right for something like that this year if the grooming holds. Results: coming. 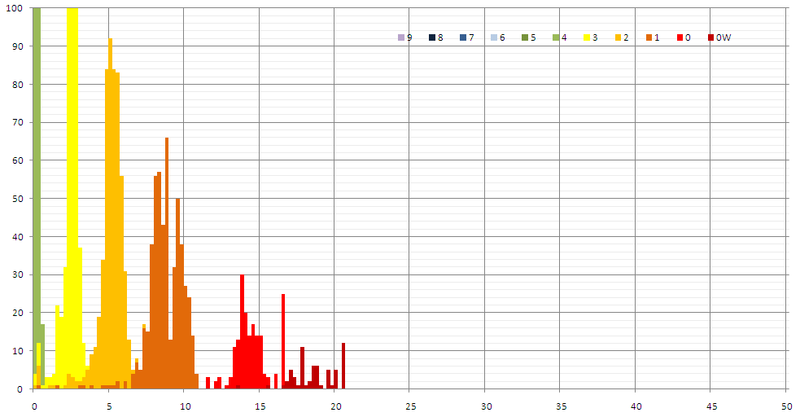 Don’t hold your breath; once I have the data it takes a few days to get it in to a usable format. There is still skiing. And no results. This is all well and good, since I still don’t have results from the Birkie and there are still discrepancies. So, keep on skiing, and we’ll have data to pore over once the snow melts and you can sit outside with a mai tai and get a tan (July). And are we going to compare fat bike results with ski results? Will the new Pope be Catholic? 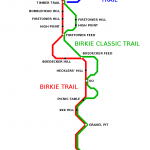 Ever wondered what the Birkie Trail would look like if it were a subway map? Well, I have a rough approximation here. Now, it’s time to go skiing. [update 3/7] I am planning a more stylized version of this map which even further from a geographic view. Plus some other enhancements. I’ll put those on the stylized map page linked above. Yes, I know that one of the background header images is upside-down. Will fix later. In the mean time, there are more race reports up. Read them, get the fever, and send your own!